One of my favorite Bay Area landscape designers is Keeyla Meadows. I first met Keeyla when I was scouting gardens for a major garden tour that served as a fundraiser for our children’s grade school. That was twenty-some years ago and over that time I’ve watched her garden evolve from a colorful but simple field of poppies to a complex art installation filled with original artwork and inspirational plantings. It’s always a treat to visit Keeyla’s garden but especially in the spring. 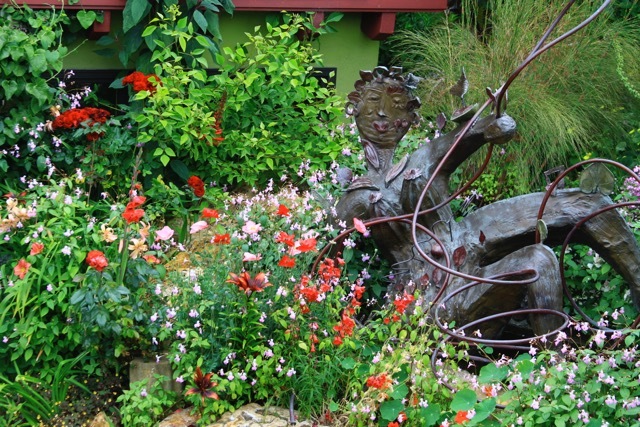 Fortunately, her garden will be on tour as part of the Garden Conservancy tours twice this year—the first time during the East Bay Open Day on Saturday, April 23 from 10 until 4. Admission for each garden is $7.00. Keeyla’s garden is located at 1137 Stannage in Albany, CA. I’ll be there enjoying the garden and greeting guests that morning. Hope to see some of you there! 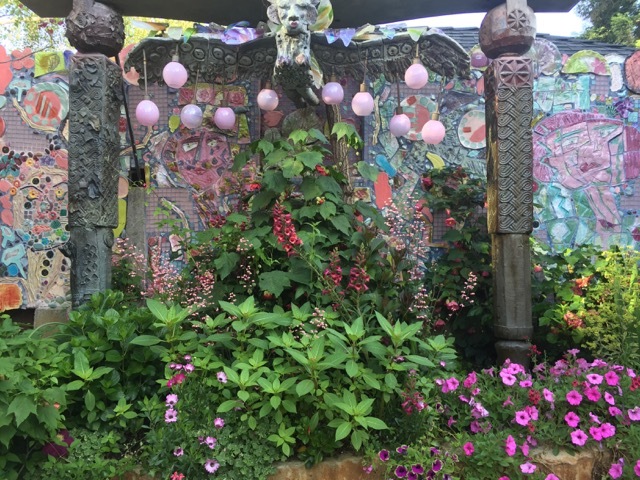 This entry was posted in Shelter, Spirit, Style and tagged art, flowers, Garden Conservancy, garden tour, Keeyla Meadows, Nat, sculpture. Bookmark the permalink. Post a comment or leave a trackback: Trackback URL.